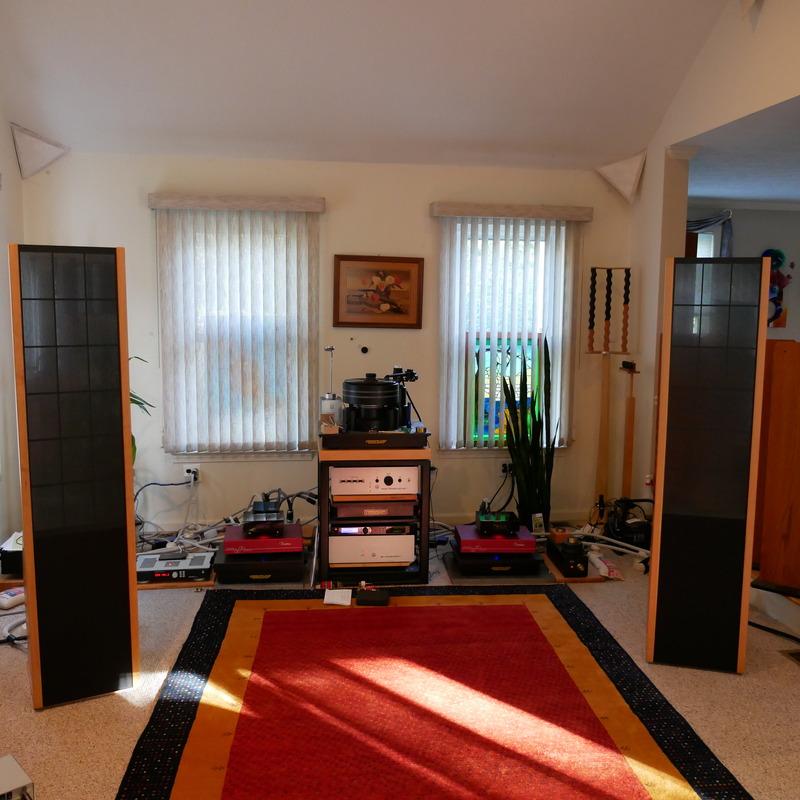 This latest version of Roger Sander’s longtime work on electrostatic speakers is a great triumph of audio design. The system is in many ways all but incomparably good, exploring the boundaries of what is possible in audio now or in the foreseeable future. And when one considers the reasonable price, the achievement becomes even more startling and impressive. The speakers, electronic (DSP) crossover from DBX, and a Magtech amplifier are sold together as a unit for $17,000. Another amplifier is needed—the system is intrinsically bi-amplified—and if one adds in another Magtech, the complete system cost is $22,500. For this, you get one of the most accurate home playback systems available at any price. Moreover, you get a system which includes digital room correction and a wide variety of DSP options that allow users to tailor response to room conditions and specific recordings. This is a system which is both superb as it stands and highly flexible as well. The system is a hybrid of transmission-line dynamic woofer in the bass and a flat electrostatic panel above the bass. 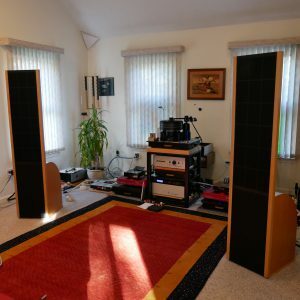 The electrostatic panel is very low in distortion—as one expects from electrostatics—but is also unexpectedly robust, and the speakers are capable of very high volume levels. Bass is very extended and precise and via DSP room correction (included with the crossover unit), extremely smooth and free of room effects. The electrostatic panels are essentially flat in overall balance and non-resonant by nature, but in addition they are eq’d to be ultra-flat using DSP. This is one of the lowest coloration speakers in existence. The size and shape of the electrostatic panels minimizes floor and ceiling bounce, and the dipole radiation pattern of the panel and its width mean that one can all but eliminate early reflections off the sidewalls. The speakers’ direct output will be almost all you hear above the bass until the sound off the backwall arrives, delayed by 10 milliseconds or more with suitable positioning of the speakers. You will thus get effectively the sound—an ideal to my mind—of an RFZ (reflection-free zone) room without needing to build one. People accustomed to hearing their own room’s sonic signature laid over every recording may find this takes a little getting used to. But the advantages are very striking. Imaging is spectacularly precise and three-dimensional, when the recording justifies that. One has a sense of hearing into the recording venue that is hard to attain otherwise. And the ultra-neutrality really makes instruments sound right. On its own terms (of controlled radiation pattern), the Sanders 10e system sets a new benchmark in speaker design.